In many senses, titanium fulfils the criteria one might expect of a ‘wonder material’. It is significantly stronger than most commonly-used grades of steel, but is approximately half the density (and thus weight), meaning it is of huge value in any application where robustness, corrosion resistance or weight reduction are critical factors. These attributes mean that titanium has seen extensive use in applications such as aerospace, defence and motorsport. Inevitably, however, such utility comes with drawbacks. In titanium’s case, these can be boiled down to two things: low availability and high cost. A supply of approximately just 130,000 tonnes per annum and an extremely complex, expensive production process involving 40 separate stages have served to confine titanium’s use largely to the aerospace industry, where properties such as low density, high levels of strength and good fatigue resistance in safety critical components are essential. 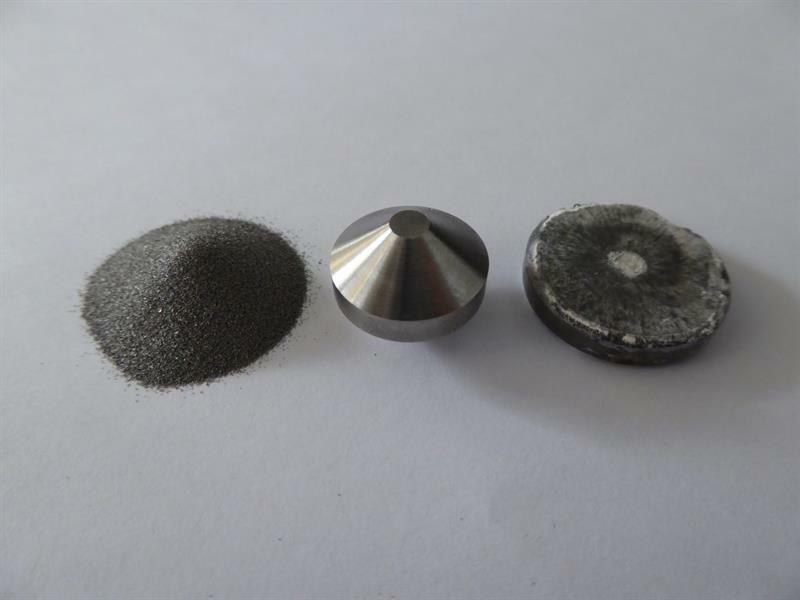 These factors mean that unless additional sources and low-cost processing routes can be developed, use of titanium alloys will continue to be limited unless additional sources and low-cost processing routes can be developed. In this context, the recent announcement that the Defence Science and Technology Laboratory (Dstl) in Porton Down has revolutionised the production of titanium by reducing the 40-stage process to just two steps and potentially halving the cost is significant, to say the least. The achievement is based around ‘FAST-forge’, a novel, cost-effective processing route for consolidating titanium alloy powders into near net shape components with wrought properties in two steps. This has been demonstrated at the laboratory scale, using field-assisted sintering technology (FAST) to produce a shaped pre-form billet that is finished to near net shape using a one-step forging operation. The geometries and microstructures produced via FAST in isolation are not those typically required for finished components and we therefore see FAST as an intermediate step in this route. It is hoped that a subsequent one-step hot forging operation will provide near net shape parts with a refined microstructure. Investigations have created simple FAST specimens from Ti-6Al-4V hydride-dehydride powder, which were fully dense and microstructurally homogeneous. Analysing the microstructural evolution of these samples under varying thermomechanical processing parameters will allow development of simple microstructural prediction models. Linking these models with finite element simulation allows iteration towards more complex optimised shape preform billets that, after forging, give the required properties with minimal material wastage, with the further possibility of giving tailored microstructures at specific locations within a component. Another CDT project in collaboration with DSTL and Kennametal looked at optimising the FAST process for titanium feedstocks. FAST has advantages over hot isostatic pressing as more rapid sintering can be achieved without the need for expensive and process-limiting steel canning and degassing steps. The combination of FAST with traditional precision hot forging produces components with refined microstructures and higher structural integrity than other powder techniques such as additive manufacturing. This process has the potential to create a near net shape component in titanium alloys with the same (or very similar) material properties to high strength titanium alloy forgings currently used in the aerospace industry. Significant cost savings are achievable through combining the Metalysis and FAST processes with a one-step forging operation in the FASTForge process through reducing both the raw material and processing costs. On the raw material side, the chlorination step is eliminated and the first and second melts are replaced by a single oxide reduction step. The one-step forge means almost all of the complex thermomechanical processing is eliminated. 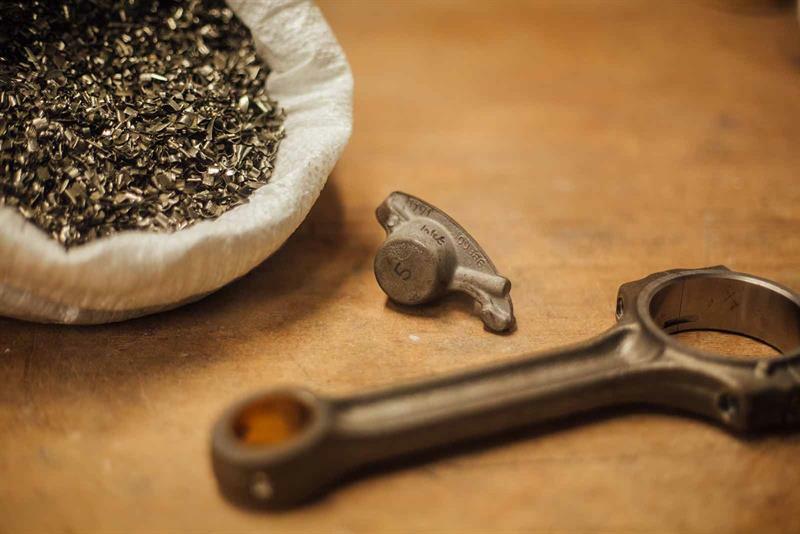 The combination of these exciting developments has the potential to lead to a step change in the titanium manufacturing. Lightweight, corrosion resistant, high-strength titanium alloys could become an economically viable option, opening up markets in a range of sectors including aerospace, automotive, heavy transport and defence. The defence sector in particular sees huge potential in this, which is why Dstl has invested almost £30,000 in the new research project at the University of Sheffield that led to the development of the new ground-breaking manufacturing process.